Hey hey! 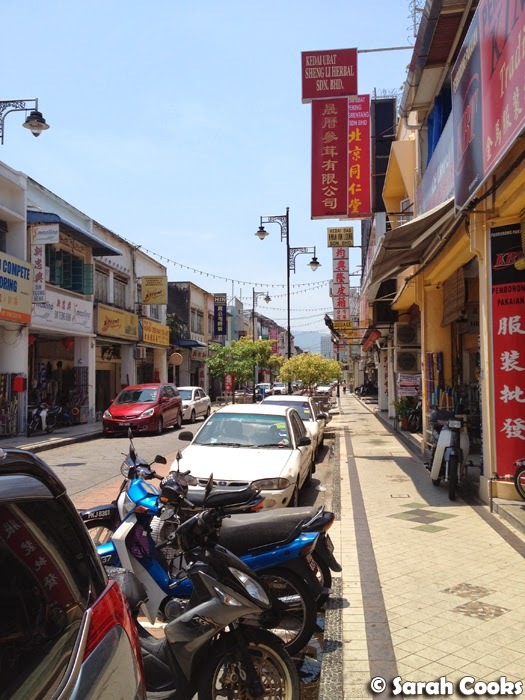 So, after Langkawi, we spent five nights in my hometown of Penang. It was a really laid back trip - we spent most of our time relaxing at our hotel, with a day of shopping and a few meals with my uncle in between. We'd already done a lot of sightseeing on our previous trip to Penang in 2012, so we just wanted to take it easy this time. 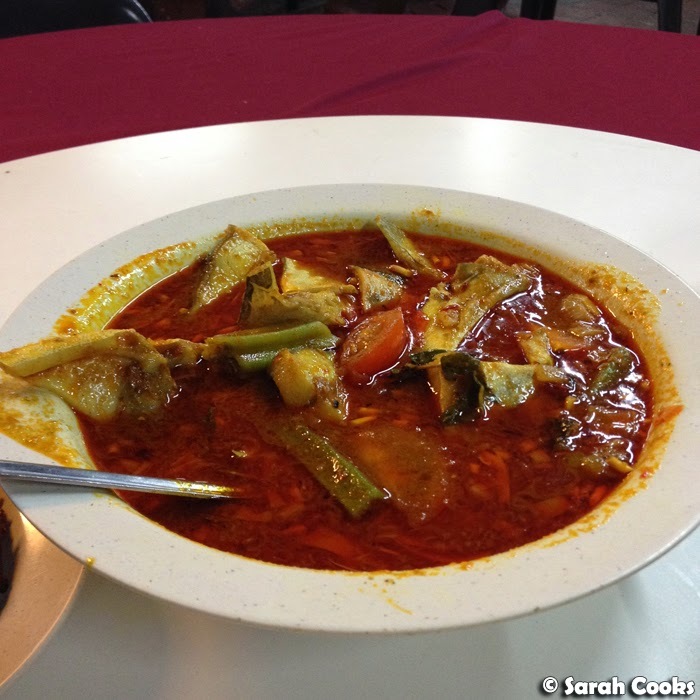 (Visit my "Penang 2012" series to read about that trip). 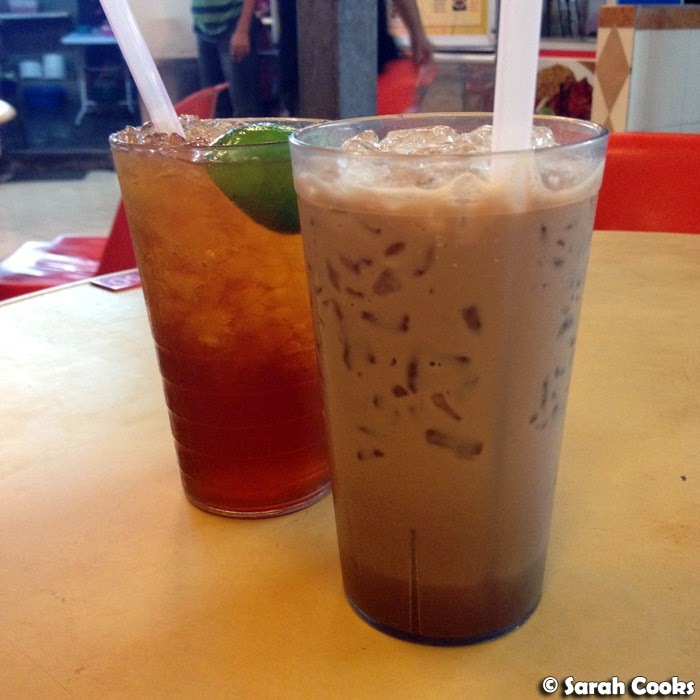 Of course we ate a lot, so today's post will mainly be about the yummy food we ate in Penang! 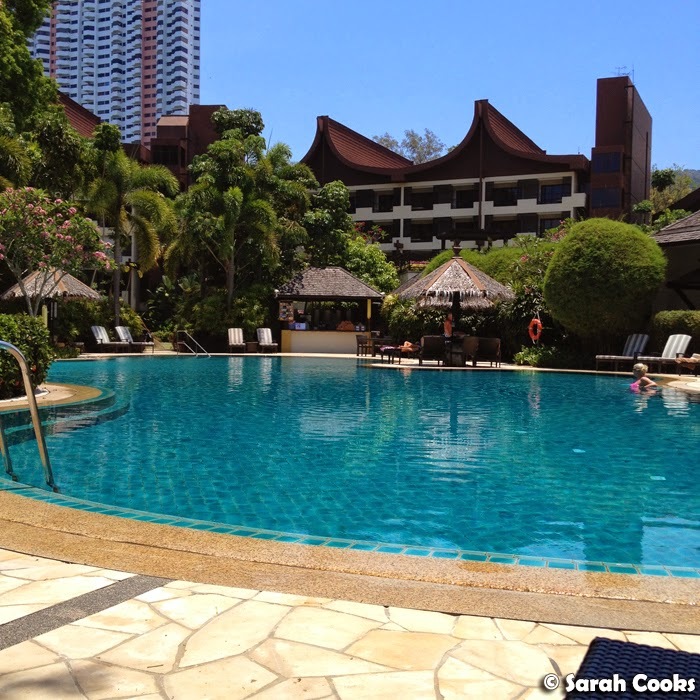 We stayed for five nights at the Rasa Sayang - what an indulgence! I think I'll do a little picture post about it soon, but you can read my glowing (and very detailed) review of our previous stay there, here. 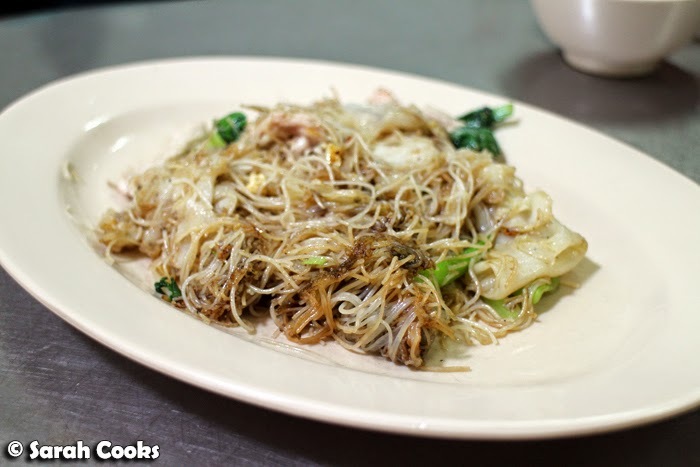 One place we had to revisit was Tho Yuen (92 Campbell Street, 10200 Penang), for their awesome fried noodles and super-duper Chinese atmosphere. 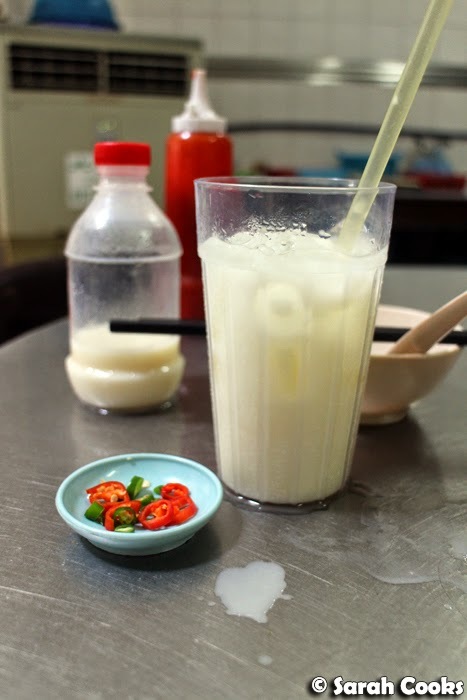 (Read about my previous Tho Yuen visit). One day I'll get up early and try their yum cha! 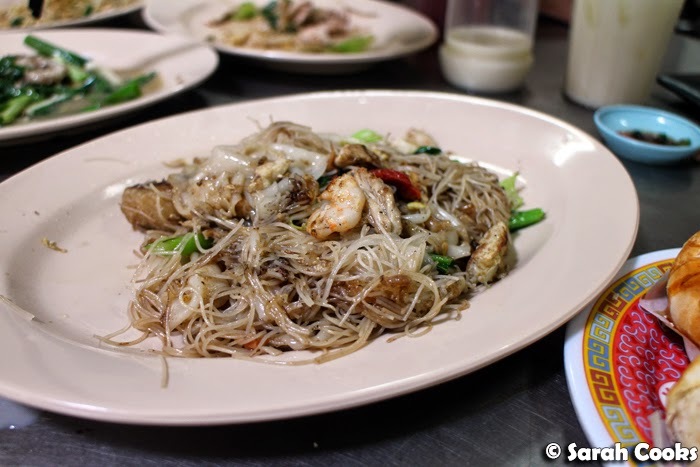 We got two plates of dry-fried hor fun (rice noodles), one with seafood and one without (for our seafood avoider Sandra). 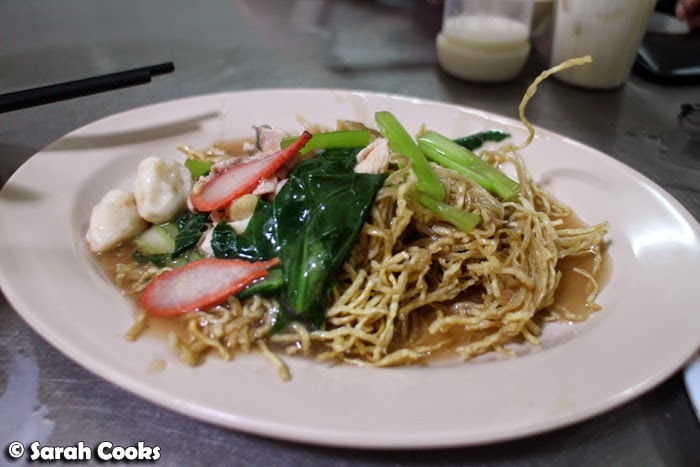 The noodles seem to be a mix of bee hoon (vermicelli noodles) and the wider hor fun. These were incredible! Even better than I remember. The wider noodles, especially, were incredibly soft and tender. I think they make them in house. And the noodles had such great wok hei - super charred and smoky. Love! Crispy noodles were also great; I loved the way the crispy noodles soaked up the savoury, savoury sauce. 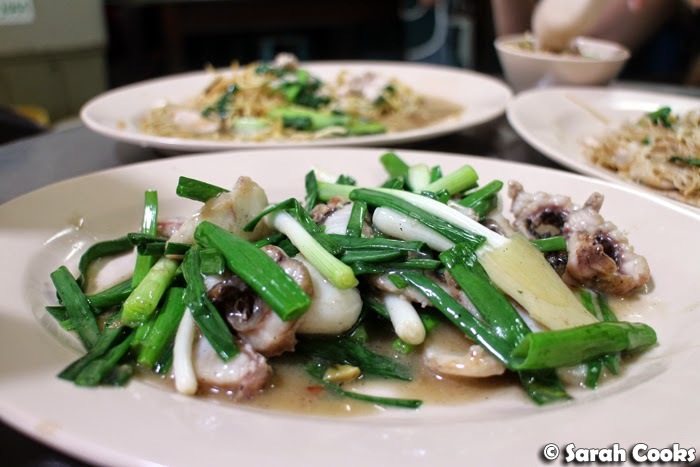 We tried a special dish too - stir-fried dragon fish with spring onions and ginger. I'd never had dragon fish before, but I think it's kinda like eel. Yum! Another day, we did a lot of shopping in Gurney Paragon and Gurney Plaza, (Gurney Plaza is way better in my opinion! ), and stopped off for lunch at The Chicken Rice Shop, in the basement of Gurney Plaza). 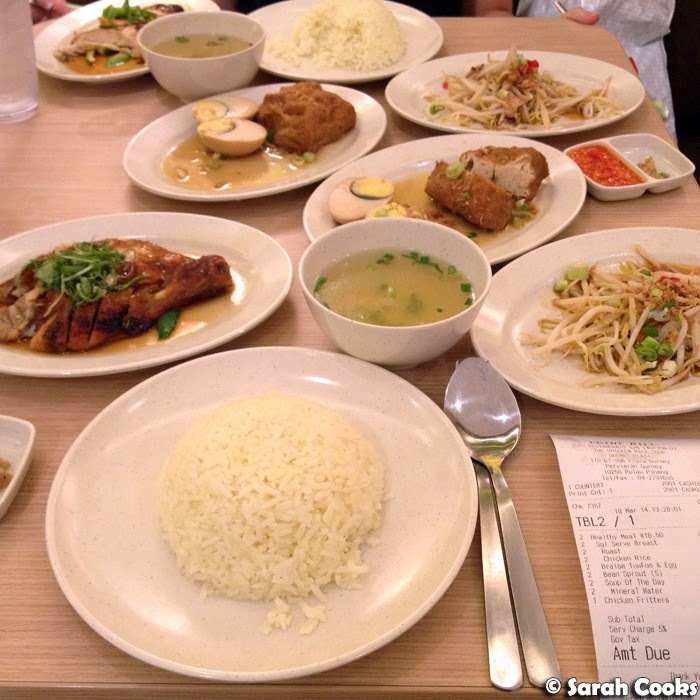 The Chicken Rice Shop is a chain, but the food is nice and you can get a variety of different dishes. 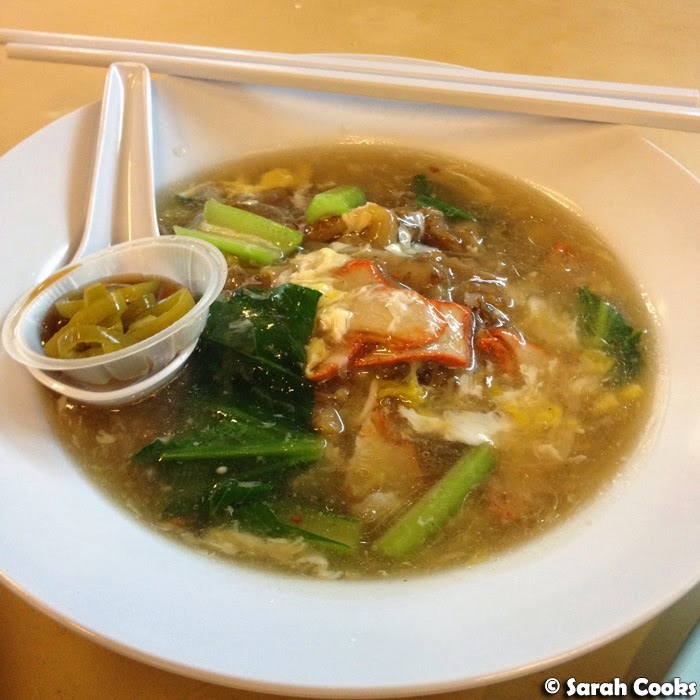 In addition to the obvious chicken (steamed, roast, soy, honey BBQ or curry), they've got things like beef stew, assam fish, wonton soup, noodle dishes and more. We each got a "Healthy Meal" set: chicken breast (steamed for Sandra, crispy roast for me), braised tofu and a braised egg, chicken soup, rice and Ipoh bean sprouts. (Generally I prefer non-breast meat, but I chose this set because I liked all the sides that came with it!) The chicken was great, nice and juicy and very flavoursome. 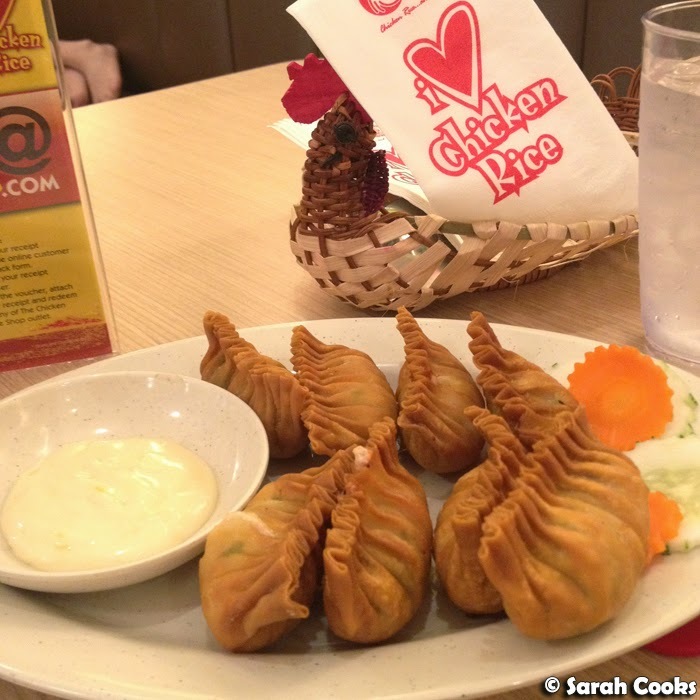 And less healthily, we got some chicken fritters - like deep fried dumplings with minced chicken inside and a mayo-type dipping sauce. 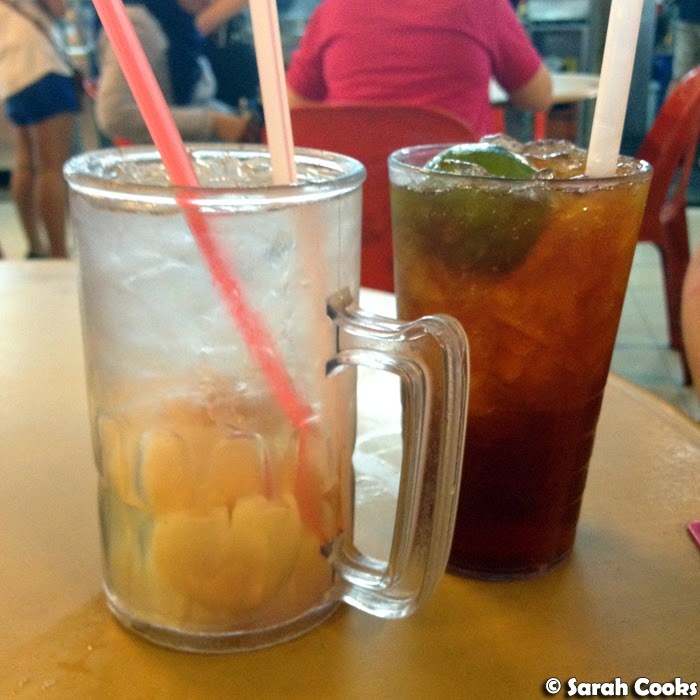 One night, Uncle Cheok took us out for dinner at the hawker centre in Pulau Tikus, which is one of my favourite neighbourhoods in Penang. 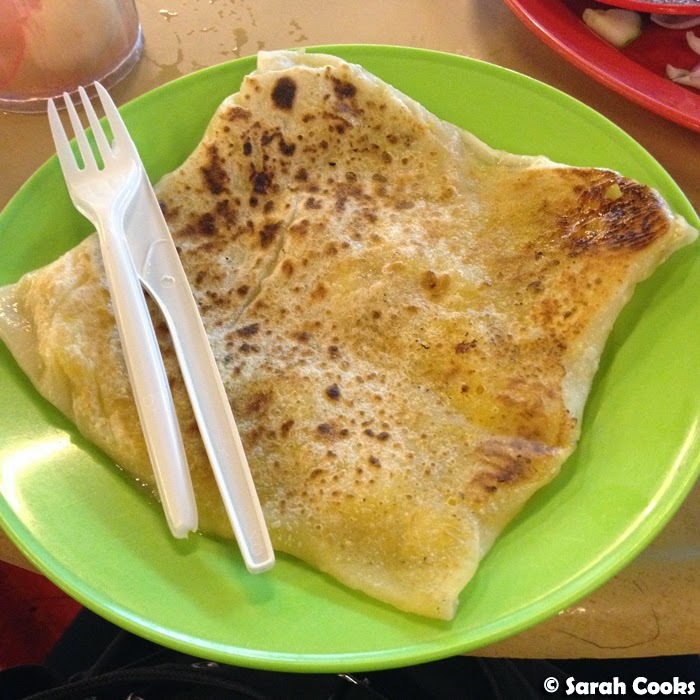 (See my post on Pulau Tikus from 2012, which focused on the yummy breakfast foods you can get there). 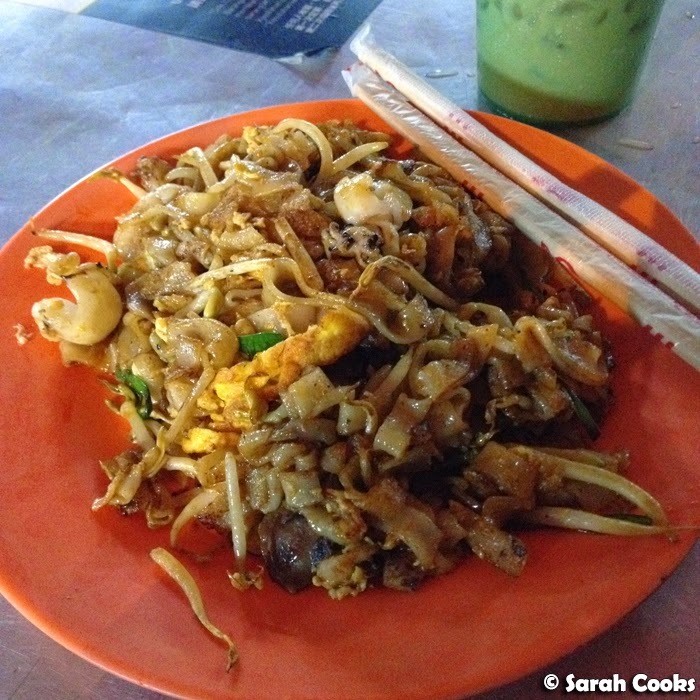 This hawker centre has lok lok, koay teow th'ng, satays, char kway teow, or chien (oyster omelettes) and more! 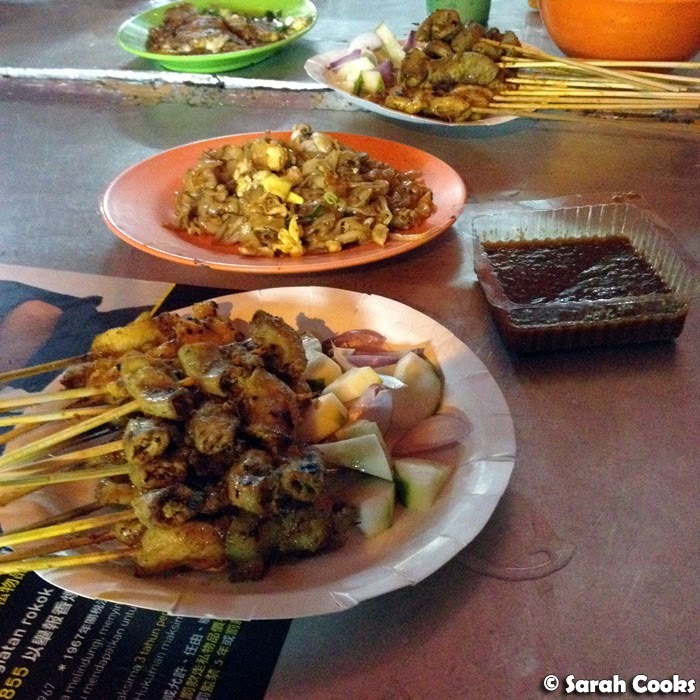 We had to order some satays! Pulau Tikus is a Chinese area, so you can get pork here. We tried pork, chicken, beef and even intestine. 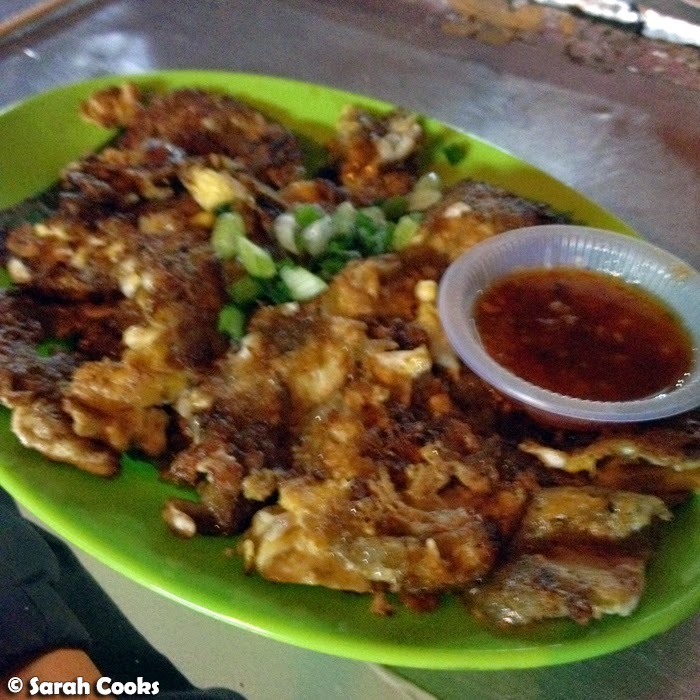 Fuzzy photo but still worth sharing: or chien, or oyster omelettes. This isn't something I'd ever had before (my parents never eat it), but it was cool to try something new! 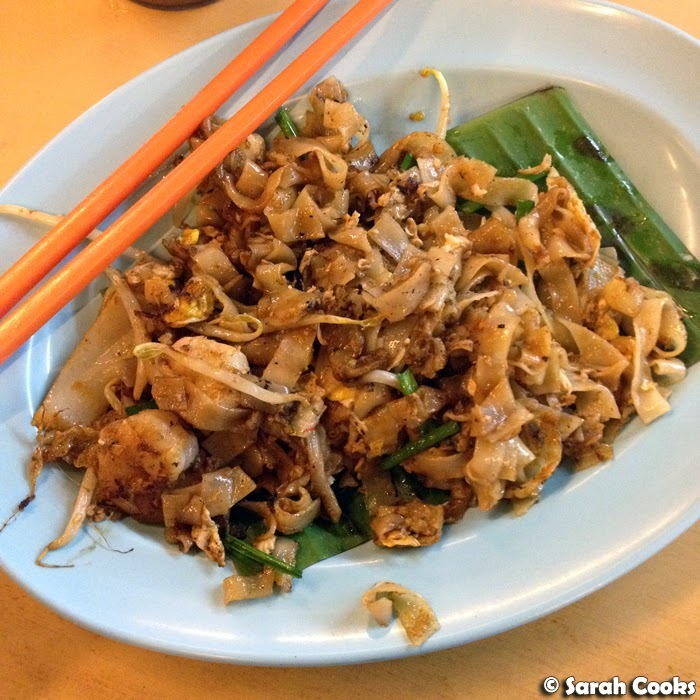 Char kway teow, of course! My Hokkien is pretty bad, so when I ordered two plates, one without seafood and lap cheong for Sandra, ("mai hu, mai hair, mai lap cheong"), they didn't understand me and brought out two plates with the lot. Whoops! Luckily after that Uncle Cheok helped out and ordered a seafood-free one for her... but I ended up having to eat the two full plates to myself so they wouldn't go to waste. I REGRET NOTHING! 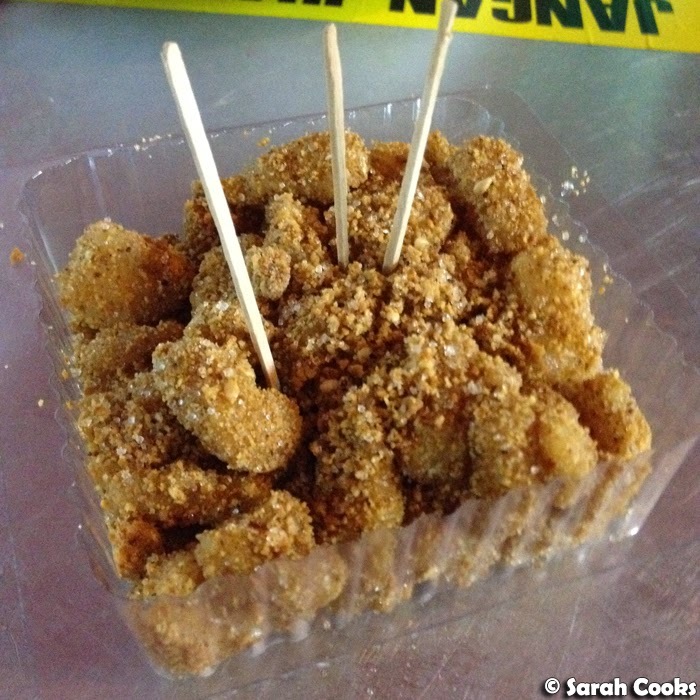 We shared a little dessert of mua chee - little chopped up pieces of glutinous rice flour dough coated in ground peanuts and sugar. My favourite! (It's like mochi, but better). 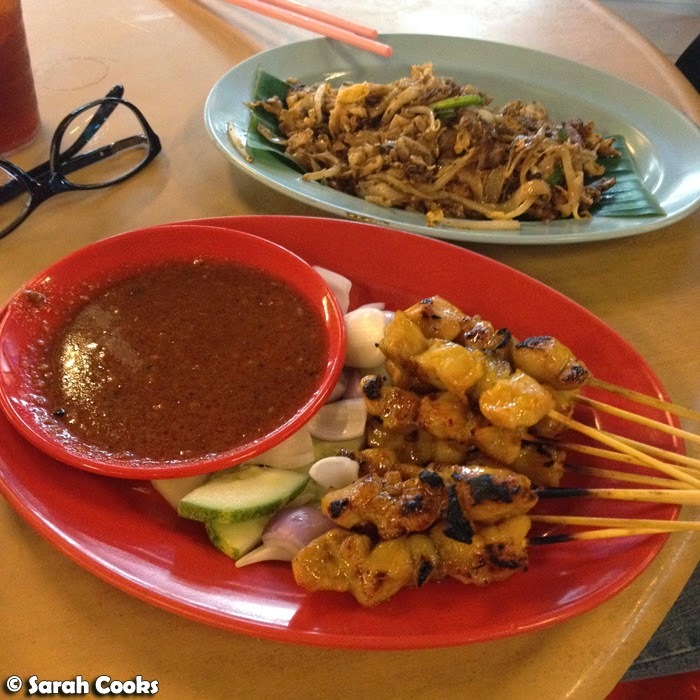 Just quietly, even though this meal was good, we still prefer Goodall Cafe hawker centre on Gottlieb road. We ate a couple of times at the Long Beach Hawker Centre on Batu Ferringhi - it's super touristy, and I can't imagine any actual Penangites coming here. However, it was walking distance from the hotel, near all the markets, and the food is still pretty tasty. 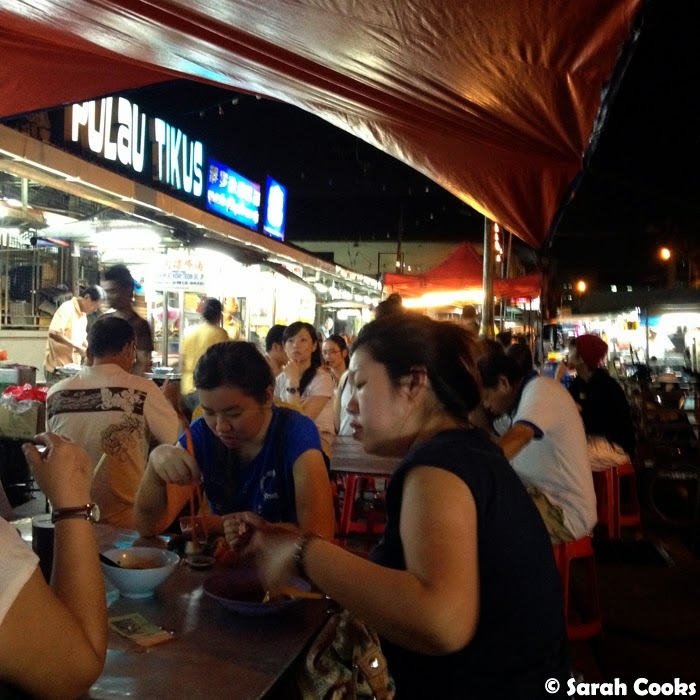 I share the opinion of the Our Travel Lifestyle blog - it's "hawker food lite". 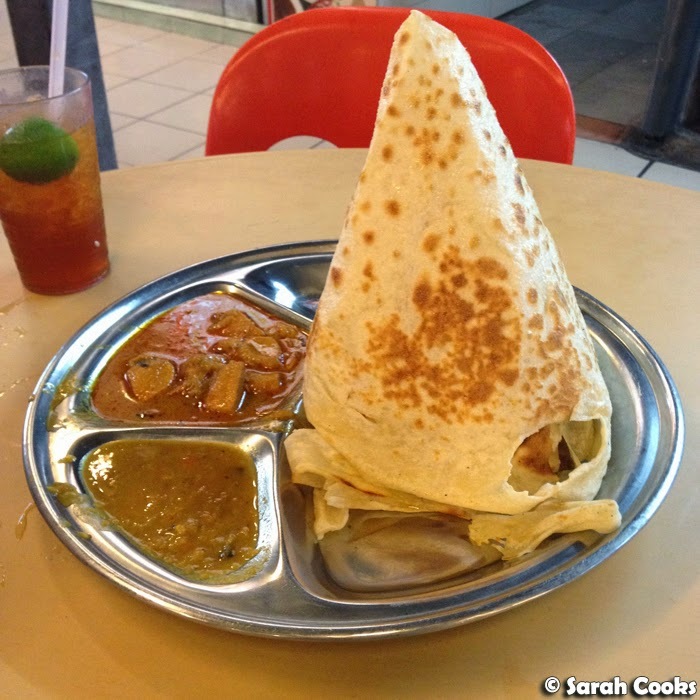 (As I said in my last post on Penang's hawker food, there's no need to be too precious about it - even though it's not super authentic or up there with the island's top hawker stalls, you still get a good feed at a bargain price). Now, if you want really good food (i.e. approved by locals) on Batu Ferringhi, I would highly recommend Beach Corner. 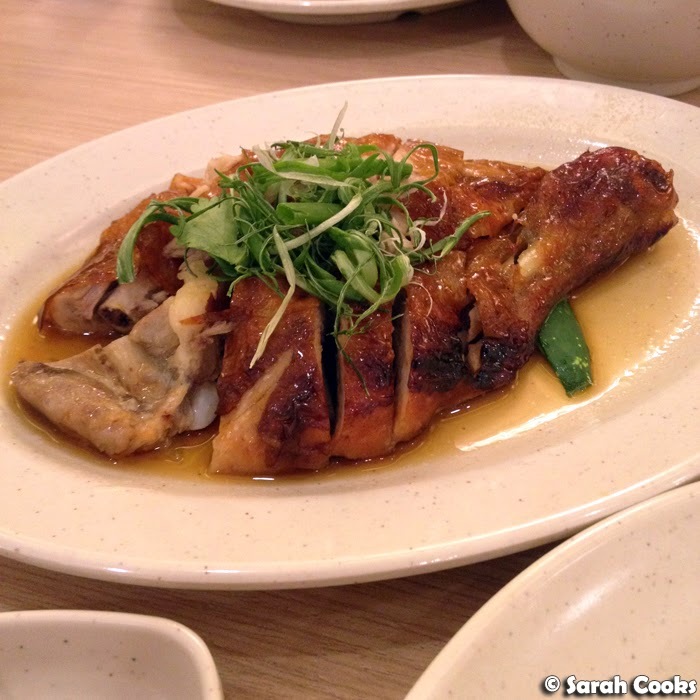 Uncle Cheok took us here and it's very popular with locals for its fab fab fab Hainanese food. It's a bit tricky to find - it's near Tarbush restaurant, with a parking area in front of it. It's also co-located with a Lebanese barbecue restaurant - Sandra and I actually sat in the Lebanese restaurant first by mistake and were really confused when we looked at the menu... until my uncle rocked up and was all like "you're sitting in the wrong restaurant!". Oops. 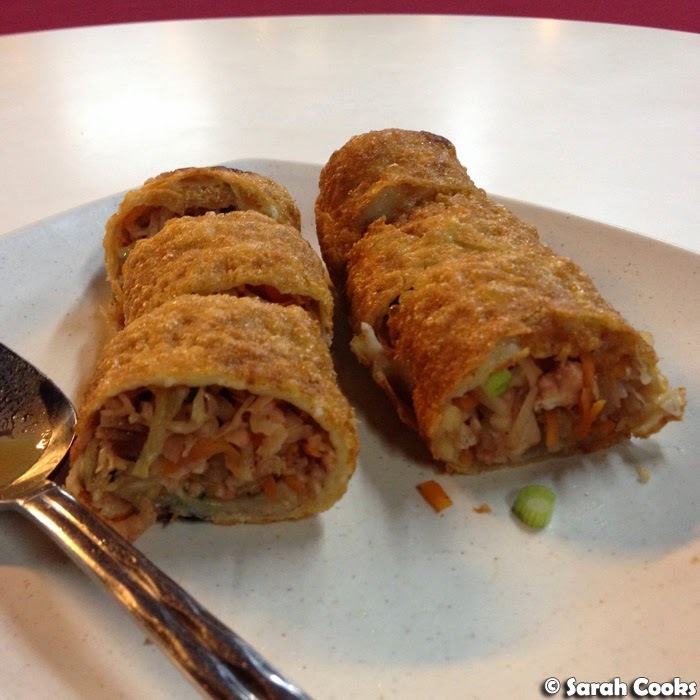 Beach corner is famous for their choon pneah, aka Penang spring rolls. These crispy rolls are amazing - fat and full of carrots, bangkwang (jicama / yam bean), cabbage, prawns, meat, 5-spice, mushrooms and spring onions. Argh! So good! N.B. you have to call in advance and reserve your spring rolls, otherwise they will sell out! 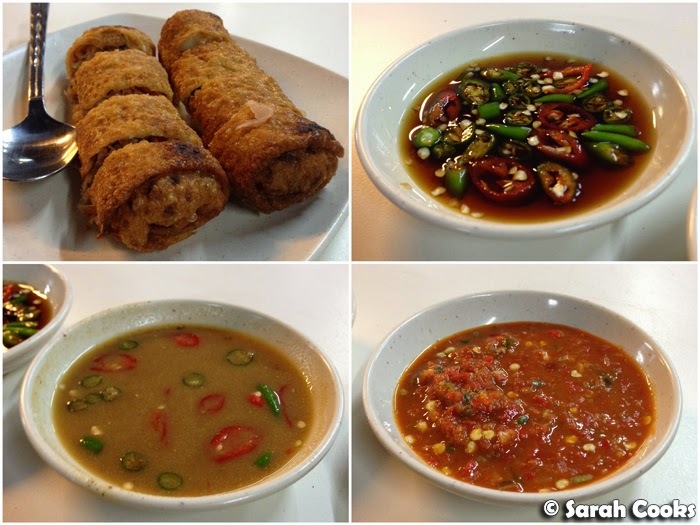 You get three chilli sauces with the spring rolls - my fave is the chilli with amor tau yuu (Worcestershire sauce). We also got an assam fish gulai (tamarind fish curry), and we requested black pomfret - my favourite fish. I loved it! The gravy was sour and delicious, the fish was super tender and it was full of okra and tomatoes. Yum! 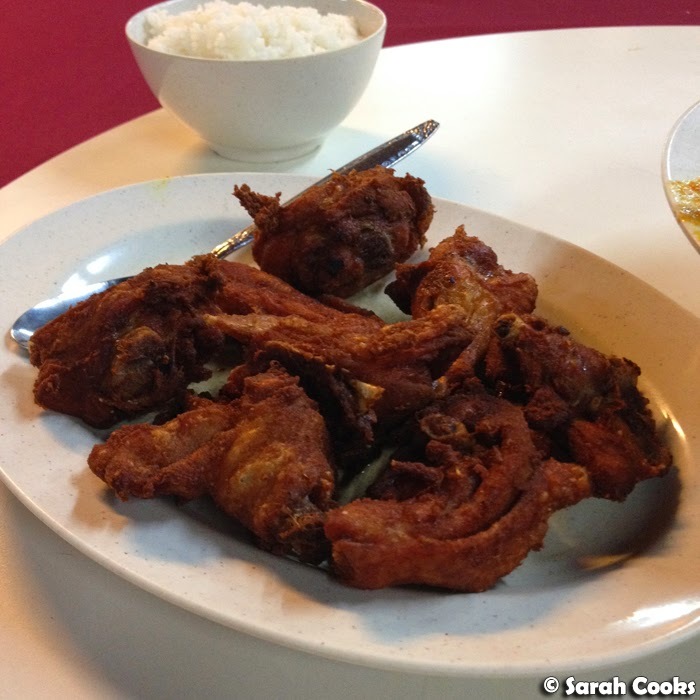 Belachan fried chicken is also good because, belachan fried chicken. We got a side of stir fried "brussels sprouts", and surprisingly, these were the most popular dish of the night. 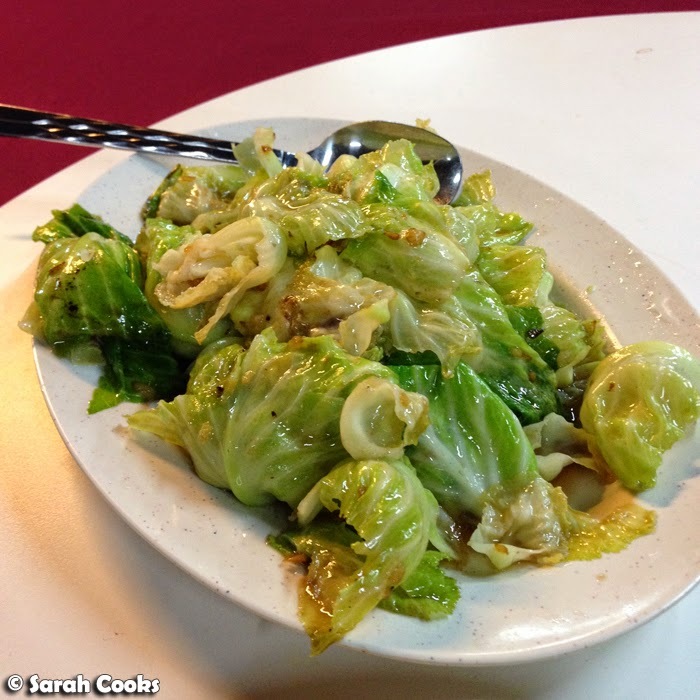 These were like mini cabbage leaves stir-fried in garlic - still crisp and slightly charred from the wok. Lovely! 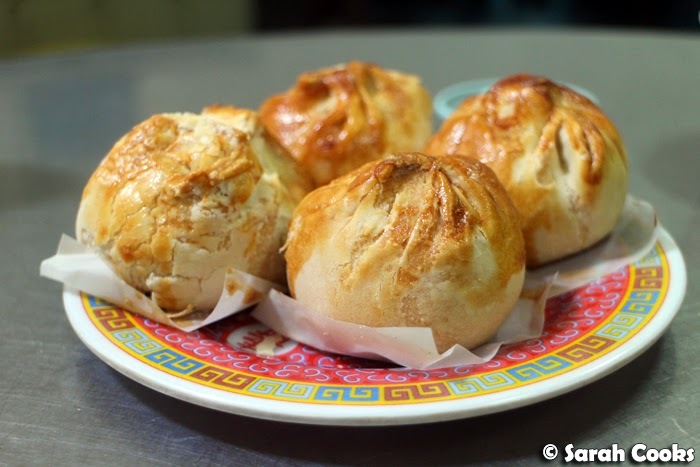 And don't forget Golden River restaurant for tasty tasty Chinese food on Batu Ferringhi. 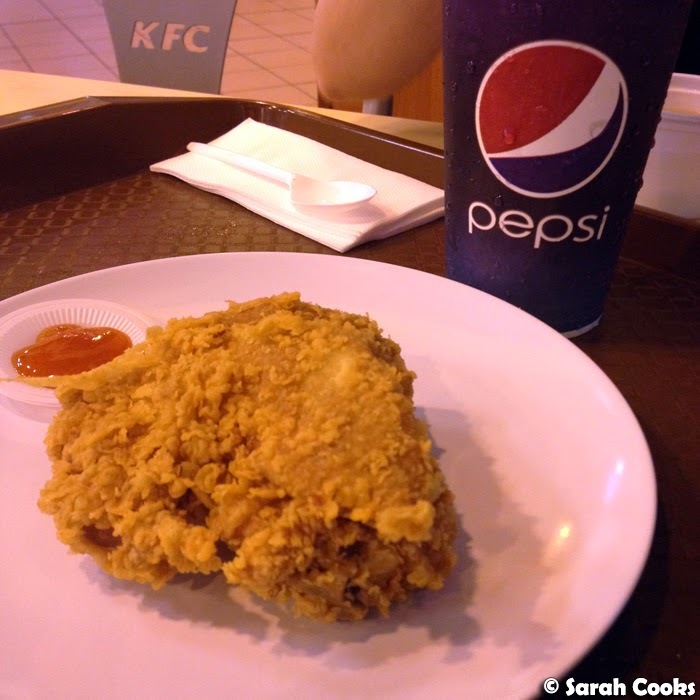 And I just wanted to finish this post with a sneaky picture of KFC - judge me if you will - but I can't not have KFC when I'm in Malaysia, the hot and spicy is spicier and the chicken is so juicy! Thanks Penang, you were grand! Oh man, another epic round up, Sarah. Love this so much. You know... I think it would be seriously awesome if I visited Penang one day with you. You would be the most AWESOME tour guide and I'm sure you'll show me Penang like no other. In return, I'll show you KK too haha! I second Winston, you need to be our tour guide if we visit Penang. :p And I CAN'T believe you can finish two whole plates of char kway teow... That's power!! Arghhhh...now I'm so craving a good wok-fried noodle! I love the street stalls around Georgetown when I was there...so nice to just randomly pick up a roti or a sugarcane juice as a snack!